Our Forge consists of a production plant (8.500m2), a tool warehouse containing over 800 different die forged tools, a compressor station and a raw material warehouse. The Forge consists of 6 forging sections of up to 700t monthly output. We can manufacture forged pieces ranging from 0.5 up to 120 kilograms. About 55% of the production is intended for railway industry and 45% is for other branches of metal industry (automotive, tractor industry etc.). High motivation, commitment and competence of our employees guarantee a supreme quality of each and any product coming out of our Forge. The production cycle of our Company is finalized at the Machining Facility. It consists of a machining workshop (3.500m2), a heat treatment plant (500m2) and a paint booth (150m2). More than 70% of forged pieces undergo machining process as well. 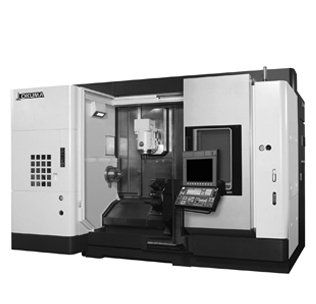 At the moment, over 60 different products in series production are in the machining process. The state-of-the art technology enables us to work faster and more efficiently. That is why our largest investments in 2008 have been made in the machining process. By purchasing the machines of the latest generation produced by highly-reputed world manufacturers, we have reduced the possibility of error occurrence to the minimum and significantly increased production capacities. Part machining and tool manufacturing are performed at the new CNC processing centers. Our team of highly-qualified young engineers provides a complete logistic support for smooth operation of processing centers and ensures betterment of their efficiency. Besides part processing, the Machining Facility is fully equipped and enabled for the manufacturing of the most complex die forged tools. Thus equipped, we are ready to fully adjust to our clients’ needs and more and more demanding markets. Flexibility and swiftness are definitely our best recommendations.